Wondering how the interest thing works? Recent years have shown all kinds of economic challenges. From the Wall Street debacle and the mortgage meltdown to ongoing zealous greed across the spectrum, consumers have paid the price in more ways than one – and unfortunately may continue to do so for a long time. The Congressional Budget Office (CBO) isn’t offering a warm and fuzzy economic outlook for 2014. Consumer spending was up in the last quarter of 2013 yet we’re all at the mercy of inflation and the declining value of the US dollar against other world currencies. Our national debt stands at $17 trillion as reported recently in USA Today. Imported goods are becoming more and more expensive; food and energy prices keep going up; medical and education costs keep rising; the national unemployment continues to hover around 7 percent; and then there’s that healthcare fix. It’s enough to keep us all shaking our heads and wondering about how we’re going to make ends meet, save money, and what it’s going to cost to borrow money. We wonder if, when, and how we’re going to make more money when everything seems to always be costing more. With economic instability, ongoing political deadlock, and government mistrust, it does appear that it’s going to be standing still for a while longer. The Federal Reserve says that interest rates may stay low through 2015 and beyond. How exactly does this interest rate thing work? The Federal Reserve (the Fed) is responsible for the stability of our financial system. In order to maintain that stability, it either raises or lowers interest rates on a fairly routine basis. When the economy is booming and companies are seeing profits, the unemployment rate is low and you’re out spending money, short-term rates are raised to keep the economy from building too fast. When that happens, we experience inflation – prices go up when there’s too much money and too few goods and services. The Fed raises interest rates to slow things down and that means low rates go up. The Fed lowers short-term rates when the economy is slowing, making it less expensive to borrow money. That means you have more money to spend elsewhere and that speeds up the economy. Recessions occur when consumers become tight-fisted with their money and don’t buy products and services to keep companies thriving and workers employed. Throw in an international incident involving oil-producing nations and interest rates could be affected. Many of you ask why our savings rates can’t be higher. They’re all part of the big picture painted by the Federal Reserve. 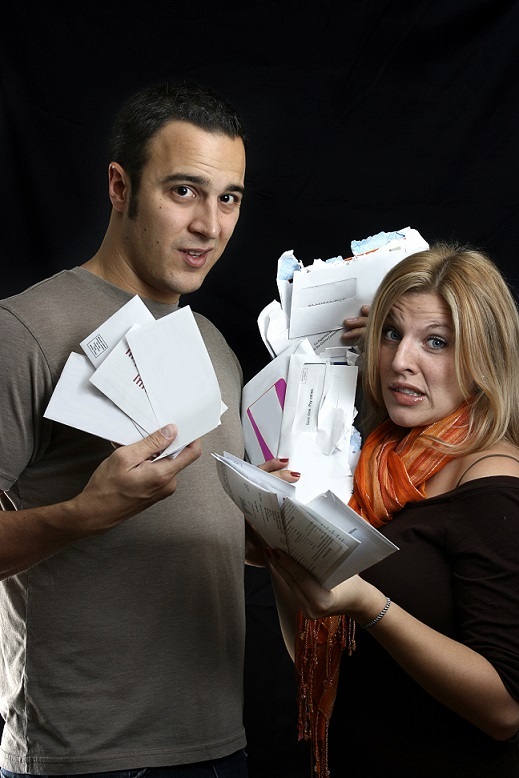 Credit unions and other financial institutions just can’t set rates on a whim. The Federal Reserve sets forth certain requirements for all types of financial institutions. What’s going on nationally and internationally affects us and ultimately you as a saver or a borrower. When interest rates are high, your money makes money for you, but at the same time, you’re going to pay more to borrow. Unfortunately, when rates fall, your money makes less money, but should you need to borrow, it’s a lot cheaper for you. We understand that this prolonged period of low-interest rates has caused many challenges for those of you who have saved and saved your entire lives hoping to cash in on the interest accumulated in your savings to help supplement your retirement income. Unfortunately, like you, we’re at the mercy of these big picture conditions and requirements. Keep in mind that we do have a variety of short and long-term savings options for you. Determining your savings goals or revising existing ones may be necessary for savings success. Now is the perfect time to take a good look at your financial picture to see how you can get the most out of your savings in 2014 and beyond. Republished from our “Avenues” newsletter, “A Word From Bob”, March/April 2014. Has Old Man Winter Done a Number on Your Home? Ice, snow, freezing rain, melting snow, refreezing snow – we sure have had our fill this winter, haven’t we? How’s your home holding up to all of this winter abuse? Old Man Winter has the potential to do serious damage to your roof, other areas outside your home – not to mention the possible ripple effects that can occur inside. Obviously pre-season prevention helps, but if you didn’t prepare your home for winter a few months ago, keep the following in mind as we move towards the end of the winter season. Be aware of an ice dam forming on your roof. This happens when water from melting snow re-freezes at the edge of your roofline. If you don’t remove the snow from your roof, this ice dam could grow large enough to prevent water from draining off of the roof. When this happens, just like when the drains are covered on the street, water builds up, backs up and then it could make its way inside your home. The last thing you want is your roof or ceiling having issues. As a property owner, you are responsible for the cost of preventive maintenance. 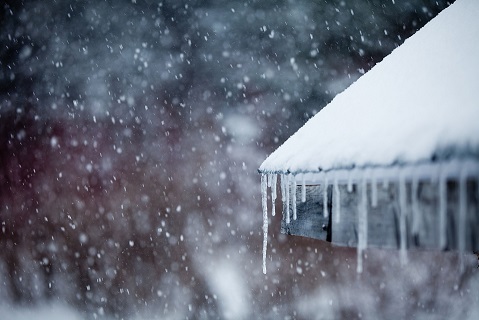 You may find it helpful each winter season to develop a snow removal roof monitoring plan. If you have an attic, be sure it is thoroughly insulated. When heat escapes through the roof, it will melt what’s on top of it and then when it re-freezes, you could end up with a serious issue. Make sure you’re turning off your outside water faucets and draining them before the deep freeze sets in. Add weather-stripping around doors and caulk your windows to guard against drafts and heat loss. Maybe you need to make the investment into new windows and doors. Be sure to get your chimneys cleaned and your furnace checked out each season. Change your furnace filter. Don’t turn off your heat or set it below 55 degrees. You need to have some heat circulating in your home, even when you are not home. You really don’t want to have to deal with frozen or bursting pipes, do you? Clean a clear path around your outside dryer vent, ventilation pipes and so on. Keeping your safety in mind first, should you have a roof full of snow and ice, be sure remove as much snow as you can after every storm. The amount of snow and ice that your roof can handle varies according to a number of factors such as the roof type, age, and condition of the structure. And remember to inspect your roof each season, keep gutters free from debris such as twigs, leaves and the like. Clean out your down spouts. Use a roof rake to clear the snow. Rule of thumb – if you have more than a foot of heavy, wet snow up there along with ice, do what you can to get it removed. If you can’t do it yourself or with a neighbor, call a reputable contractor or check with your home, landscape or roofing contractor or call your property maintenance company. Remember, climbing a ladder in snow and icy conditions is never a good idea. Safety first. Before filing a claim, be sure to have seasonal maintenance done on your home to avoid those costly repairs. The cost of snow removal may be considerably less in price than the cost of roof damage, interior damage and other issues caused by water leaks. Would you like a free quote for your homeowners insurance? Check out Members 1st Insurance Services*. Also, ask us about renter’s insurance – protect your personal property while renting under someone else’s roof.